Linseed Oil – There are three preferred Oils that historically were used in Oil Painting. There are Linseed, Walnut and Poppy Oil. All three have advantages and disadvantages over each other. 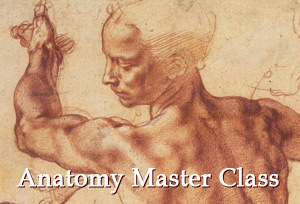 I decided to set out the oils we are going to use in the Old Masters .Academy ™ Course. So, Linseed Oil is the best Oil, it outperforms all other oils. It has a tendency to yellow, however, compared to other Oils’ disadvantages, this could be more or less manageable. When you use Linseed Oil, there is less cracking of the paint layers than there is when you use Poppy and Walnut Oils. All speculations that Walnut and Poppy Seed Oils exceed Linseed Oil is just an attempt to promote products that present an alternative to Linseed Oil. However, there are some cases when Walnut Oil really works better, especially when on a large scale canvas, for example, in Alla Prima technique, when prolonged time of drying contributes to the technique. Anyway, a large scale Alla Prima painting is not used in our case. If we are going to apply the Alla Prima method in smaller places in the multi-layered method, as the Old Masters did, we can use Linseed Oil, added in reasonable quantities. Oil paintings of the past were performed in most cases with Linseed Oil, and this is largely due to its excellent safety. However Linseed Oil, as any other Oil, can seriously damage the painting, if misused. First of all, you can add Oil into the Paint only when it’s necessary. It is important to add the oil in tiny quantities. 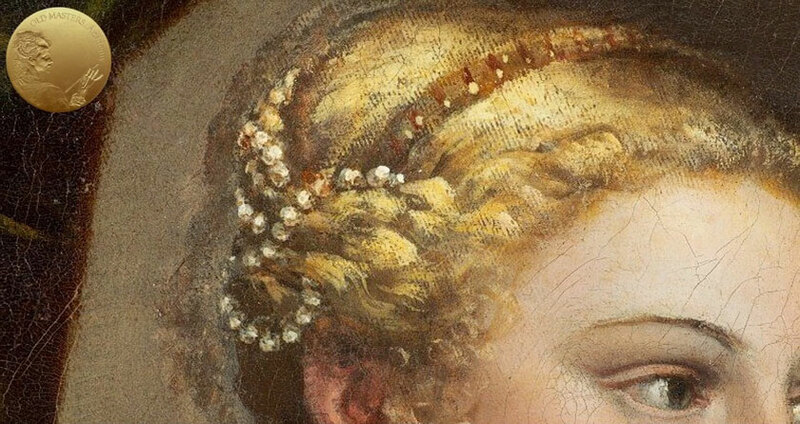 As was known today, and even before the Renaissance era, excess Oil in the paint coat leads to negative results such as browning and creasing; it dramatically reduces the durability of the painting. 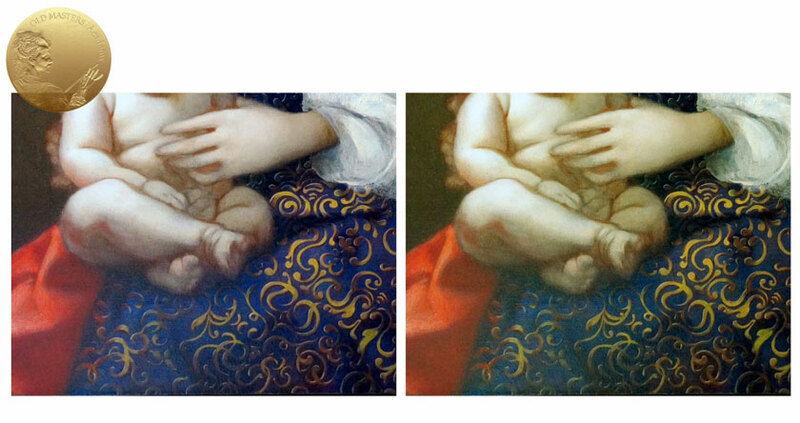 You can not inject the additional Oil into the lower layers of the painting – the first layers should be “lean”. Following this restrictions, you can avoid the upper layers of paint from sinking in. Excess Oil, overused in the upper layers, lead to the formation of wrinkles while drying. 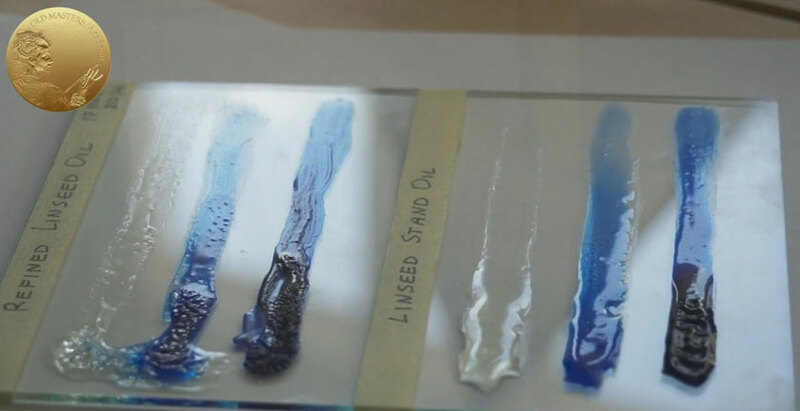 To see how Oils behave in thin and thick layers, you can make the following experiment yourself: apply Linseed Oil in a thin layer on a piece of glass. After some time, the Oil will solidify into its entire thickness. But, if we apply Oil in a thick layer – the hardening of Oil occurs only on the very surface, and the layer will become covered by a skin, creating a wrinkled, wavy surface. at last, in two years, a final solidification of the Oil surface will occur and we can varnish the painting. The drying time of Oil depends on several factors: for example, the nature of the canvas priming, the room temperature, lightening level, as well as humidity level. These factors, apart from other factors, have great influence on the acceleration or, on the contrary, deceleration of drying time. Light plays a very important role in the drying process of Oils; and in the absence of light, the drying process becomes almost suspended. For example, it takes 3 days for Linseed Oil to dry, in summer, under intensive illumination and an elevated temperature. In diffuse light, it takes 5 to 6 days. In a completely dark room, Linseed Oil dries in about 60 days. And it takes about 2 years for the painting to thoroughly solidify into its entire thickness. After two years, the compression of Oil will not have yet reached its limit, but it becomes almost imperceptible. The more Oil added to the Paint, the more it becomes compressed. Linseed Oil does not thicken Paint, on the contrary, it makes the Paint ‘fattier’ and leads to a runny consistency. So, if you want to achieve an Impasto texture, with thick, massive coats of Paint, you do not need to add Linseed Oil into the paint. The Old Masters did a strange thing, (“strange” from our contemporary ignorant perspective) – they dried their fresh paintings, done with Linseed Oil, in the sunlight, in order to avoid yellowing and browning of the Oil; as well to dramatically accelerate drying time of the layers. In this way, the sunlight works as a natural Siccative (a natural drying agent). As we already know, each layer of the painting must be well dried, before proceeding to the next one. It’s a requirement. It is an absolute MUST in multi-layered painting. Old Masters were interested in following these rules and produced high quality paintings. 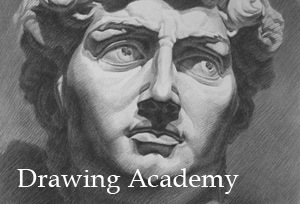 High quality in both the subject-matter, as well in material quality, in the visual quality of their artworks. What would be the best Linseed Oil for us? Refined and Cold-Pressed Linseed Oil are our choices. Which is the best? I can’t tell you, as I myself couldn’t get univocal advice from the specialists I have asked. There is no plain answer, as both cases have their pros and cons. Usually artists prefer Refined Oil over Cold-Pressed Oil, simply because it looks notably less yellow than Cold-Pressed. I should warn you, that what you see as a transparent, non-yellow Refined Oil, with time it behaves similar to Cold-Pressed Oil and also yellows, and becoming brownish when misused; therefore it should be used with caution. Refined and Cold-Pressed Linseed Oil can be used in Oil Painting as a paint thinner. They should never be added in lower layers and should always be added in small amounts. You choose for yourself, whether you need thin Oil Paints with extra Oil or not. I personally, use it very rarely. How about Glazing layers? Is Linseed Oil suitable for the task? Only when it is specially prepared for that. Here you are – Stand Linseed Oil and Sun Thickened Oil. These Processed Oils work in a similar manner. Refined and Cold-Pressed Linseed Oils typically have a liquid and fluid consistency, and therefore are not very suitable for Glazing. This is why it so important to have Processed Stand or Sun Thickened Oil which have thickened to a viscose consistency, this is exactly what is required for making glaze layers. Such types of condensed Oils were already used in painting during the IX century. Artists achieved such consistency of Oils in various ways: by using oxidation from light and air. “Sun Thickened Oil” got its name from this. “Stand Oil” got its name from cooking the oil over a fire. We can either purchase ready made Stand Oil, which is made by heating and can’t be prepared yourself; or we can easily create Sun Thickened Oil, in the same way as Medieval artists prepared Oil for glazing. Pour Linseed Oil onto a flat plate or into a piece of glass, in a very thin layer, do not cover the plate, and keep it open – provide access to light, or better yet, to sunlight. In the summer it takes about 3 to 4 days for Oil to become as transparent as water, and it also becomes very thick. Italian Artists referred to Oil processed in this way as “boiled in the sun”. Treated in this way, the Processed Oil dries into a glossy and flexible surface, which we see in Medieval, Renaissance, and Baroque paintings. Undoubtedly, the use of such condensed Oils, that are oxidized and polymerized (Oils we calls Processed Oils), affected the good preservation of the paintings of that time. 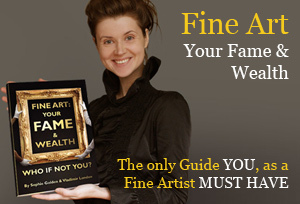 The great artists of the past centuries, used self-produced condensed Oils and achieved incredibly effective results. Condensed Oil is especially designed for Glazing needs – it works brilliantly for achieving optical painterly effects, which look so sophisticated. The increased refractive index of a thick condensed Oil, affects the Paints in such an incredible way, improving optical properties. Glazings done with condensed Oil have a greater depth of tone, and have a greater vibrancy of Colors than glazings created with other Glazing Mediums. It’s like the creation of stained-glass – when an artist uses just one piece of colored glass – one effect is achieved, but if two colored glasses are placed with an air gap between them, we see a completely different look, more deep and complex. In the Glazing method, Condensed Oil can be rubbed into the painting surface with a brush or your fingers to spread it thinly. It also could be used in a diluted way; Turpentine is suitable for this. The big advantage of condensed Linseed Oil over conventional Linseed Oil is it’s ability to create a surface that is less prone to yellowing and more resistant to moisture. It has less capacity to sink in the paint and wrinkle. In case there are sunken areas on your painting, condensed Oil can also be used for oiling-out to restore the dimmed Colors. Yes, condensed Oil is brilliant in glazes, but we have to remember that it still has a tendency to yellow with time. We also should keep in mind that White and Blue Color passages in the painting will suffer the most from yellowing. With time, Blues may get a greenish undertone. 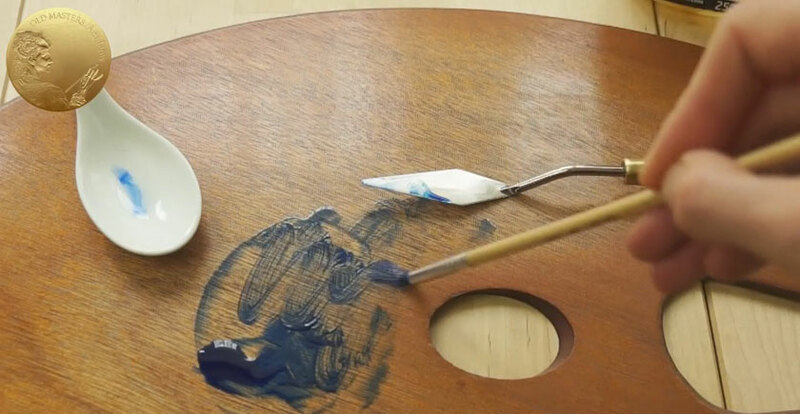 The more Oil you add into the Paint, the more you alter the original color. So, we should be careful and avoid using too much condensed Linseed Oil. To protect our Whites and Blues in glazes, we can use condensed Stand or Sun Thickened Walnut Oil, which can be made in the same way as Sun Thickened Linseed Oil. The only advantage Walnut Oil has over Linseed Oil is that there is less yellowing. 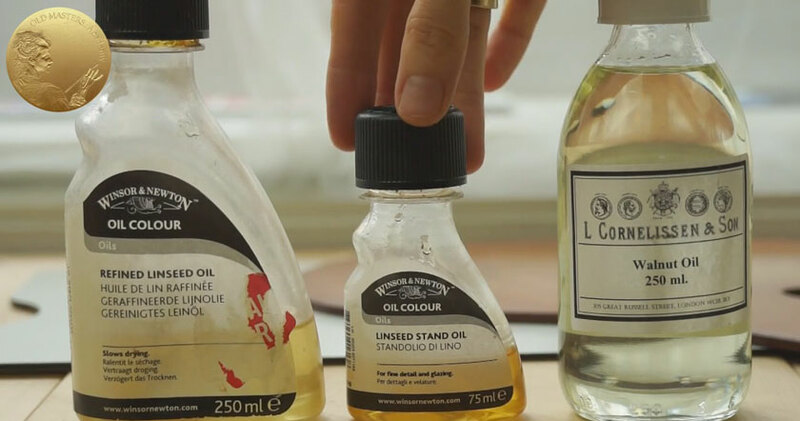 It is less elastic than condensed Linseed Oil, this is why it’s reasonable to use it only in situations where it is really works better than Linseed Oil. The drying time is practically the same for both condensed Oils. However, in it’s original condition, not condensed, Walnut Oil dries longer than Linseed Oil.